Andrew Palmer is a lecturer and practising Barrister. 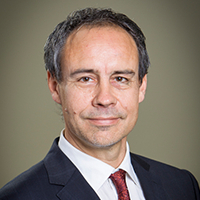 His research and teaching interests lie mainly in the area of evidence and proof, and he has twice acted as a consultant to the Victorian Parliament on inquiries into the law of evidence. Legal Member, Behavioural and Social Sciences Human Ethics Sub-Committee of the Human Research Ethics Committee.